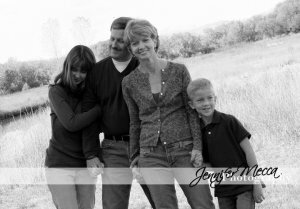 Note from JZ: Sue Linroth is a mother of two living in Longmont, CO. In 2007 she learned to swim and started back to running after a decade long break. Already an avid cyclist, triathlon was a natural next step in her athletic progression. In 2008, Sue competed in her first triathlon and never looked back! I turned 49 today. By triathlon standards, that means that in 4 months I will also be turning 50! I don’t have any issues with turning fifty, other than I didn’t have a chance to be fast at forty. After some significant introspection (not to mention a great degree of discomfort at not being able to answer this question), I came to the realization that for me, fast is not a number. It is a state of being in a given moment, workout or race. A place where you test your limits, push the comfort zone and come out the other side with something that is faster in a way that it hasn’t been previously. According to my own definition I have in fact been fast in my forties! Good luck Sue. I hope you achieve all your goals. All the best to you in your fifties! I love the idea that “fast” is a state of mind. What a wonderful perspective! I love how at age 37 everyone keeps telling me that I should be getting slower. Based on how I feel, Im the fastest I’ve ever been. Great post! I absolutely love this way of thinking! Sue is a smart (fast) cookie!